Moscow and Ankara have reportedly agreed upon a contract outlining the supply of Almaz-Antey S-400 long-range surface-to-air missile (SAM) systems to Turkey. This was confirmed by Russia’s Presidential Advisor for Military and Technical Cooperation Vladimir Kozhin at the International Maritime Defence Show (IMDS 2017) taking place in St. Petersburg. “The contract has been agreed and everything is understandable there but the issue of a loan, funds has not been settled yet,” Kozin said at IMDS 2017 (via Russian News Agency TASS). Kozin noted that while the technical aspects have been settled, funding – namely Ankara’s request for a credit or loan mechanism to back the deal – is still being addressed. Commercial and political issues also need to be settled before a final contract can be inked. 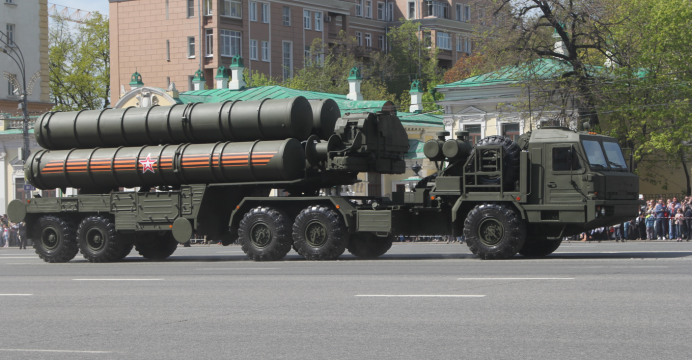 Turkey requested the S-400 SAM system in November 2016, in the backdrop of a thaw in Turkish-Russian relations, which briefly collapsed following the downing of a Russian Su-24 by the Turkish Air Force. Talks began in February and progressed through March. In June, Russian President Vladimir Putin confirmed to Turkish media that S-400 talks with Turkey were in the final stages. In parallel with its efforts to acquire the S-400, the Turkish Undersecretariat of Defence Industries (SSM) also commissioned the development of an indigenous long-range SAM system. The head of the SSM, Dr. İsmail Demir stated that development of Turkey’s long-range SAM system would require “five to seven years.” Turkey also appears to be tying the purchase of S-400 systems with Russian assistance towards its homegrown system. If successful, the S-400 would be the largest bilateral defence program between Turkey and Russia. In fact, it would also likely be Russia’s biggest export to a NATO power and, in turn, raise Turkey as one of Russia’s leading defence importers. The main draw of the S-400 system is the 40N6 missile – with a range of 400 km, it offers the S-400 a markedly broad coverage area against many aerial threats, especially combat aircraft. However, the S-400 is a multi-layered system, and thus, it also carries shorter-range missiles, namely the 250 km 48N6, 120 km 9M96E2 and 40 km 9M96E. Currently, China and India are the sole export-users of the S-400.